Daniel Alaei won his second career WSOP bracelet in the $10,000 Omaha 8 or Better World Championship, to win over $445,000. Alaei took the chip lead from Scott Clements as the final table progressed, as heads-up play with Clements lasted just two hands. Daniel Negreanu finished in 4th, John Monnette finished in 5th. Brock to Brock for Parker? Day 2 of the $1,500 Pot-Limit Holdem event returns at 2pm today with 61 players remaining, all having made the money. Jason Dewitt is the chip leader at 184,700, with Mark Seif (83,000) and David “The Maven” Chicotsky (82,400) among the top 10. Selected notables: Glynn Beebe (62,700), Erik Seidel (61,400), Mike Sexton (35,000), and Joe Sebok (24,000). Day 2 of the $3,000 HORSE event drew a field of 452, up nearly 40 from last year, with 197 players remaining. Rob Amereno is the leader at 96,800. Featured notables: Markus Golser (52,500), David Singer (48,700), David Levi (35,600), Doyle Brunson (32,800), Shirley Rosario (31,100) and Michael Binger (28,700). The 12pm tournament, as Dan noted in below, is the $1,500 NL Holdem Shootout event, which looks to be maxed out at 1,000 players already. 100 tables of 10 each play down to a winner, with the 100 players remaining coming back on Day 2. Last year, Jason Young won the bracelet in another maxed out field of 1,000 for over $330,000 in winnings. The 5pm event today is the debut of the $10,000 NL 2-7 Lowball, Single Draw World Championship event. Players start with 10,000 in chips along with two additional “rebuy” chips that can be used at any time in the first three levels. Phil Ivey won the $2,500 version of this event last week in a field of 147. The WSOP Staff Guide states that 85 players projected for today, so dead money will be hard to find. The projection appears a smidge high, so expect a field of 74 when registration is closed. Brian Lemke, cousin of the late Justin Shronk of PokerRoad and PokerNews, came back from a 4 to 1 chip deficit against Fabian Quoss to take down the $5,000 NL Holdem event for his first WSOP cash, final table, and bracelet, picking up $692,690 in the process. Quoss collected $427,911 for the 2nd place finish. An emotional Lemke dedicated the win to Shronk, saying “He was with me the whole time â€“ the entire time. I know he brought that queen for me.” (The final hand had Lemke holding A-8 to Quoss’ A-Q, the board ran out 9-10-J-Q-x). “I miss him and that bracelet is dedicated to him, my family, my grandma, and his momâ€. All the Ladies at the Final Table, Say Yeahhhhh! Daniel Alaei (297,000) and Ville Wahlbeck (231,000). The other bracelet winners: Daniel Negreanu, Annie Duke, Toto Leonidas, Ted Lawson, and Alex Kravchenko. Play resumes this afternoon with the final table scheduled to air at around 2pm PT at www.bluffmagazine.com/live. 2pm today also brings the return of 135 players for Day 2 of the $2,500 NL Holdem 6-max event, of which 108 will make the money. Brett “threatnasty” Switzer is the chip leader (183,000), with Brock Parker in 6th place trying to pick up a second bracelet this WSOP (138,900). Among the notables: Howard Lederer (93,900), Shaun Deeb (80,100), Neil Channing (59,000), and Erick Lindgren (31,600). It’s a return to double duty for the WSOP, with the 12pm tournament the $1,500 Pot-Limit Holdem event, which was won last year by David Singer in a field of 713, collecting over $210,000. The 5pm tournament is $3,000 HORSE, which was won last year by Jens Voertmann taking home almost $300,000 in a field of 414. The WSOP Staff Guide projections for today’s events: $1,500 PL Holdem – 713 (take the under, with around 685). $3,000 HORSE is projected at 435 (take the under as well, I’ll guess 403). More stuff during the day so check back to Pokerati frequently. The $1,500 Pot Limit Omaha event started at noon today, and it appeared they were competing with the two Day 1’s of the $1,000 NL Holdem Stimulus Special in terms of winnowing the field in a hurry. As the players go on their dinner break, just 198 players remain from a starting field of 809. There’s a chance that the field will be able to make the money, as 81 players will get paid, with first place taking down just over $237,000. The 75% reduction of the field in the PLO event is greater than the 67% decimation that hit the $1k NL event this past weekend. The early leaders appear to be Jason Mercier and Jesse Rios, both over 70,000 in chips. Other notables still with a chance: Josh Arieh, Amnon Filippi, Shannon Shorr, David Sklansky and Andy Black. In games where you use two cards, the $1k Stimulus Special is on their dinner break, with play scheduled to end at 3am with the belief that a final table will be close at hand. Zach Melaney appears to be the chip leader (260,000). Notables near the top include J.C. Tran (200,000), Jonathan Aguiar (140,000), Steve Sung (90,000) and Will “The Thrill” Failla (76,000). The WSOP Champions Invitational is currently three-handed as Tom McEvoy, Robert Varkonyi and Dan Harrington are playing for the Binion Cup and 1970 Corvette. Probably not the final three the ESPN cameras were hoping for, but that’s poker for you. The $10,000 7 Card Stud World Championship drew a smaller than expected field of 142, down 16 from last year. However, plenty of poker’s elite still make up the field such as: Phil Ivey, Greg Raymer, Tony G, Barry Greenstein, David Singer, John Hennigan and Chau Giang. Updates on all of these events can be found at www.worldseriesofpoker.com all night. First, some belated congratulations to the winners of the tournaments that started on Monday. The media tournament was won by Brett Collson of pocketfiveslive.com (he donated his $5,000 prize to the Wounded Warrior Project. The casino employees winner was Jonathan Kotula, who works at the O’Sheas casino on the LV Strip. Day 2b of the Main Event started with almost 2,400 players looking to play again tomorrow for day 3. The dinner break started a few minutes ago, and about 1,400 players are still in action today as they finally got everyone into the Amazon Room at the Rio. The current leader appears to be Steve Lade, who has about 380,000 in chips. Notables near the top: Day 1c leader Hennig Granstad, Victor Ramdin, David Singer, a much slimmer Thomas “Thunder” Keller, Nenad Medic, Evelyn Ng and Chip Jett. You can follow all the action when they return around 8:45pm Vegas time at the WSOP website here. A little over half of the 1,928 that started play on Day 1c get to return on Wednesday to meet those who remained after five playing five levels on Sunday. 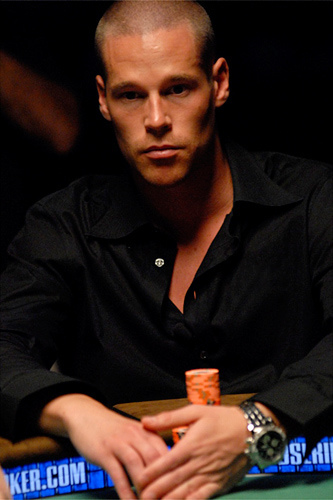 Henning Granstad appears to be leader with about 228,000 in chips. Other notables near the top: David “Bakes” Baker, David Singer, Brad Booth, Evelyn Ng, Brian Townsend, Nenad Medic, and Jeff Madsen. Today’s the final day for people to sign up for the Main Event, as registration closes at the end of Level 2, or at 2,700 entrants (whichever comes first). Over 2,000 have already signed up, and today’s attendance looks to be the highest for a Main Event in history (2,299 on day 1d in 2006 is the current record). At the moment, first place looks to take down about $9,000,000 when November rolls around, and about $850,000 would be given to each of the “November Nine”. 12:25 Update: Pauly is reporting almost 2,500 entered for today, pushing the total over 6,800 (2nd most in Main Event history). First place will pay over $9,600,000. By the end of Day 2 of the 5-day event, there were only 67 players left standing in the tournament. The 81 players who have been eliminated left $4,050,000 behind for the others. Among those gone from the field is reigning champion Freddy Deeb, courtesy of Steve Zolotow in an Omaha-8 hand. Last year’s second-place finisher Bruno Fitoussi was taken out of this year’s event by Hasan Habib in a razz hand. David Singer’s run for a third final table in three years was thwarted by Rob Hollink in a stud-8 hand early on Day 2. 1. 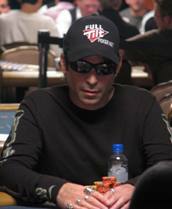 Barry Greenstein cashed in 2006 (12th place) and 2007 (7th place). 2. 2007 final table players who are still in the running to make it happen a second year in a row include John Hanson, Kenny Tran, Thor Hansen, Gabe Kaplan, and Greenstein. It won’t be possible for Amnon Filippi because though I swore I saw him on Day 1, it seems that he didn’t play this event as his name is not on the bust-outs or chip count list. 3. Of course, Doyle Brunson could make a run at that 11th bracelet, and he would win the first-ever Chip Reese commemorative trophy. Could there be anything better? The $1,500 Pot Limit Omaha Eight or Better event was won last night by Martin Klaser, who was dominant in the brief heads-up battle with Casey Kastle to take down his first bracelet and just over $216,000. Kastle winds up with almost $138,000, the biggest cash in his career. I chatted with David Singer about his choice, and he is no doubt going with A. The bottom line is that he has been doing well of late. Looking at his Hendon Mob results, he has over $400,000 in live tournament winnings this year alone, and that doesn’t count the Full Tilt online heads-up championship that added another $560,000 to that number. In 2007, he won nearly $1.7 million. David sees no reason to do anything but plunk down the $50,000 to play. When I suggested that he might not hesitate because he finished sixth each of the two past years in this event, he insisted that is not a factor in his decision. He simply has the money for the buy-in and wouldn’t miss the tournament. It seems that the 2008 WSOP is at the halfway point. If judging by days, we are almost there, but if looking at events, more than half of them have concluded and weÃ¢â‚¬â„¢re in the second half. There is also an interesting and notable change that takes place at the WSOP near the halfway mark. The $3,000 NL Holdem event is down to headsup play with John Phan and Johnny Neckar. There’s been some controversy over where the action has taken place. First, David Singer had an issue with the lighting in the area and requested to be moved to another location. The table they were moved to was in the center of the tournament floor, and the crowd of players in other tournaments, fans, and media were too much for the players. The floor staff would eventually rope off the area to give the combatants some breathing room. 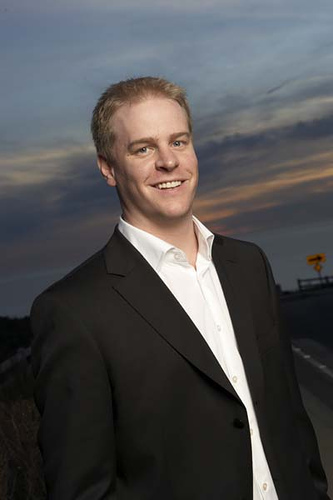 Singer eventually finished in 5th place, chip leader Matthew Vengrin would be eliminated in 3rd.